In an age of disruptive innovation, DigitalGenius helps the largest companies deploy innovative solutions to engage with their customers on a highly personalized level. At its heart, it is a proprietary artificial intelligence and natural language processing engine that can mirror, replicate, and automate human-like interactions in real time. Our mission is to simplify interaction with information and deliver knowledge instantly by providing unique and accurate natural language conversational tools. We develop and deploy highly innovative artificial intelligence technology to keep our clients ahead of the competition across their entire business. Advances in machine learning and emotional intelligence are enabling more-capable AI assistants that better understand what people want, and how to help them. Still doing things the old manual way? These apps and services will free up your time. Why Nudge.ai? Reach out to the decision makers at DigitalGenius with a personalized email - let them know that you found their recent news mention interesting. Nudge.ai’s relationship intelligence platform can help you find the right executive to reach out to at DigitalGenius, such as Mikhail Naumov, Co-Founder & President, or Roque Versace, Advisor. Then get in touch and start a conversation. Executives can be difficult to reach, but every company has connectors who bring together people and ideas. 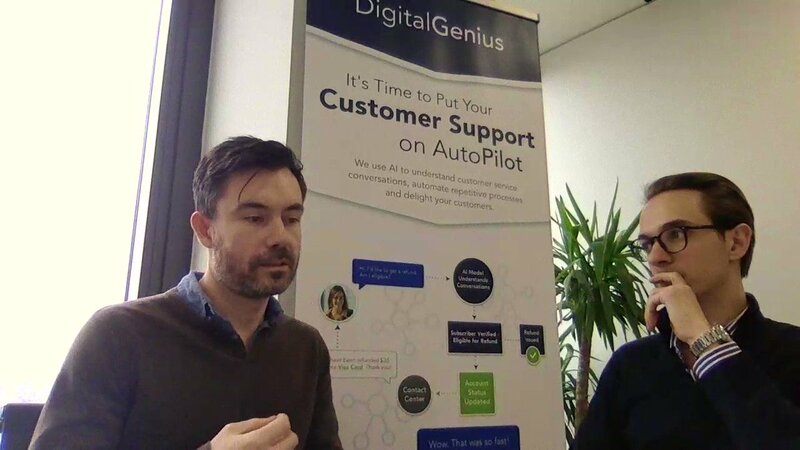 At DigitalGenius, people like Mikhail Naumov, and Dmitry Aksenov are likely connectors. When DigitalGenius is mentioned in the news, Nudge.ai often sees topics like Product, and Learning. If your conversation focuses on these topics, you’ll probably get DigitalGenius’s attention. 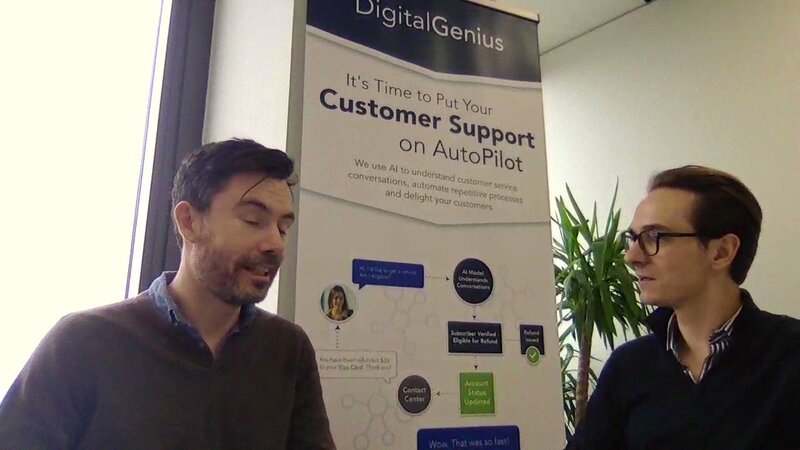 When DigitalGenius is mentioned in the news, companies such as Zendesk, SK Telecom, and Toshiba America Information Systems are often also mentioned. These companies can serve as customer examples. Employees who are often in the news are usually open to starting conversations or exploring ideas. Nudge.ai's sales AI saw Mikhail Naumov, Dmitry Aksenov, and Roque Versace from DigitalGenius recently mentioned in the news. 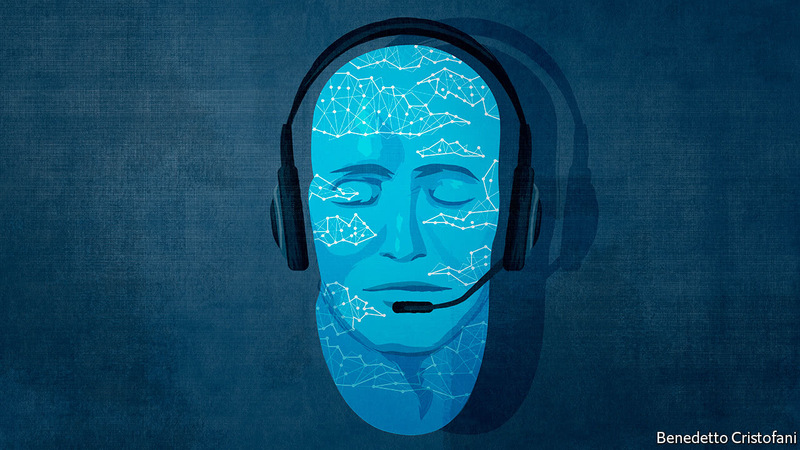 Discover how artificial intelligence finds itself in voice, social media, and chatbot applications that aim to help automate the customer service process. 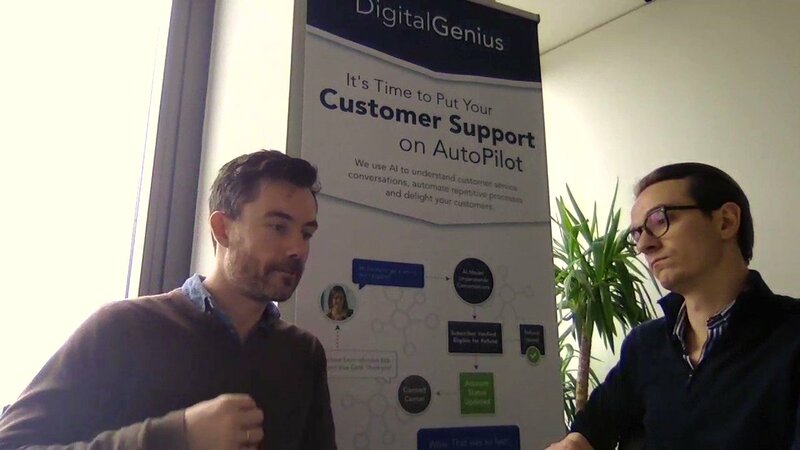 DigitalGenius, the player in artificial intelligence (AI) for customer service, has announced it has secured $14.75 million in Series A funding. Who in your network can introduce you to DigitalGenius? Nudge.ai finds the best pathway to reach contacts at this company.